I’m the CTO of an early stage ed tech company with a classroom-focused product. In a few sales demos, prospects have asked if we integrate with their Learning Management Systems. I’m trying to wrap my head around if and when I should make the investment in integrating with an LMS. Could you share your thoughts on this topic? This is an important decision you are facing and will continue to face again and again as you grow. Let’s first take a look at the Learning Management System playing field, then dive into the learnings we’ve taken away from our LMS integration decisions. The LMS universe is relatively consolidated around a few key players. In recent years, we’ve seen the decline of traditional LMS leaders and the rise of new contributors. E-Literate provides a wealth of public data on the history and current state of LMS adoption in US K-12 and higher ed markets. Find out whether a few integrations can make life easier for a majority of your users and invest in those. Myles Hunter, Co-Founder and CEO of TutorMe, shared that integrating with the top few Learning Management Systems has been essential to their success in the Higher Ed space. Five key LMS players cover around 95% of higher education institutions, so investing the effort into relatively few LMS integrations goes a long way. 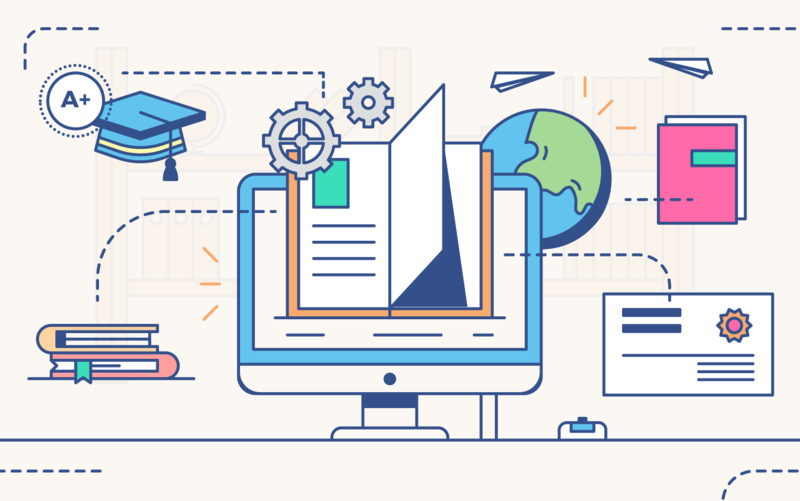 Unlike in the K-12 space, Higher Education institutions have significant resources to dedicate toward implementing products within their Learning Management system. When a large University purchased TutorMe, there was a team of 4+ people dedicated to ensuring the technology purchased was properly configured within their Learning Management System. The TutorMe team finds that this is common, particularly at bigger institutions. Why integrate with this LMS? Is there a pressing need from a current customer or significant prospect? This is the first question we ask of any possible LMS integration. Learning Management Systems are becoming more and more central to the ed tech architecture of schools & districts. Increasingly, we find that schools and districts are bringing requests and LMS integration questions to us. Given the frequency of these conversations, at Nearpod our approach to LMS integrations has not involved proactively seeking out new LMS integrations. Instead, we meet the needs as they arise. For ed tech companies, LMS integration is more about customer engagement and retention than marketing. Integrating with an LMS is not likely to cause those who were previously uninterested in your product to suddenly become interested. What it can do is improve the user experience for overlapping users of your product and the LMS, plus open doors to certain districts that require LMS integration of their purchases. Arjun Singh, Co-Founder and CEO of Gradescope, found that for buyers his team approached, LMS integration was a nonnegotiable. While they launched with a Freemium model and saw individual instructors adopting their technology, it was clear from the beginning that integrating with the few widely used Learning Management Systems was essential. Not only were administrators insistent on LMS integration for any purchase made, but there were significant ease-of-use improvements made possible by partnering with the LMS data. Gradescope’s user experience was drastically improved through integration with Learning Management Systems, but Arjun notes that the right time to pursue LMS integration will depend largely on how well your product stands alone. The possibilities are amplified once our technology is paired with the information from the LMS. We choose not to collect any student data, but using the LMS as the host allows for teachers to identify and target students in ways that are impossible without the information the LMS holds. Administrators want to get value out of the investment into an LMS, and we can help increase that value by creating a more seamless technology experience for their teachers and expanding the functionality of both our product and their LMS. The ease of use that an integration fuels can help boost Nearpod usage in districts where the LMS is integrated. It’s easier for teachers to engage with both technologies when their relationship to one another is symbiotic. In this press release, one district explains how they leveraged the Nearpod integration with Canvas to get more value out of both technologies. Establish channels for cross-functional communication between the go-to-market organization and product team so that integrations and requests for new integrations can be constantly analyzed. A flow for this collaboration is shown below. Encourage customers to be vocal to LMS company about their want for an integration with your product. This will speed up partnership conversations. Set expectations and start small. Give yourself a chance to evaluate the working relationship between your own engineering team and the LMS company’s team. Take the time to refine your first LMS integration and invest in LTI compatibility. Entering the next LMS integration already compliant with the LTI standard will make each integration easier. There is an inherent overhead cost of maintaining the integration. Every new feature you test must now be tested in an additional ecosystem. Consider if your development team has the resources to support this. The LMS integration is separate from the core product, so you won’t be allocating all your development & QA resources to this. It can be a challenge to carve out the time and people to put to the task. You’re working with a partner, so much of the integration’s success is out of your control. Set expectations early, and avoid sinking all your resources into a project that you can’t fully control the outcome of. Student information, security, and privacy all get a little trickier when multiple players are passing data back and forth. Ensure all parties are aligned on what will be collected and how student data will be managed. The decision to integrate with Learning Management Systems should be made thoughtfully given the resources required for launch and continual upkeep. 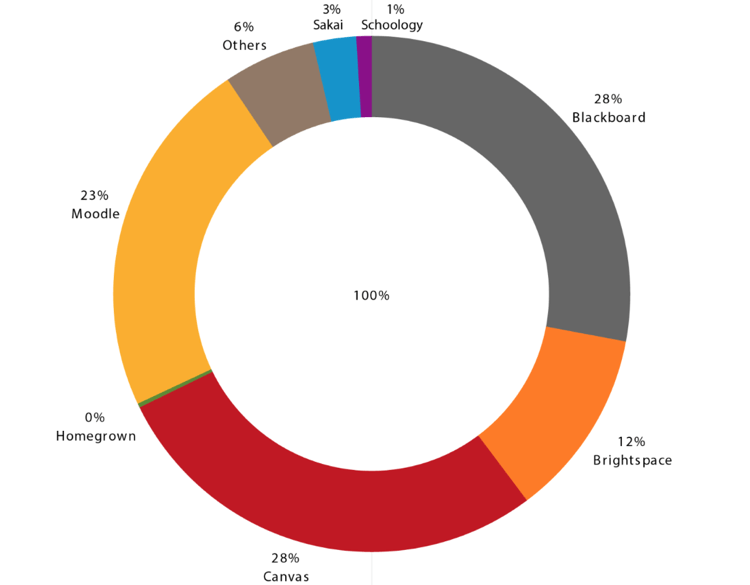 However, the LMS market is consolidated enough in both K-12 and Higher Ed that a few key integrations go a long way. The key to building successful LMS integrations is identifying the specific functionality that your customers and prospective customers seek. 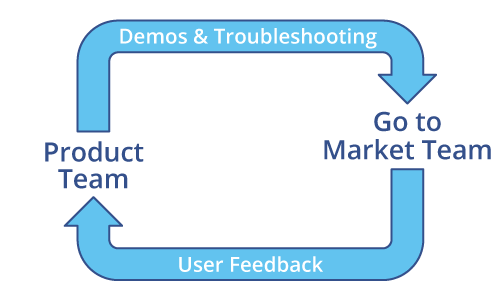 Maintaining open conversations with customers that involve Sales, Customer Success, and Product teams in a continuous loop is essential to identifying these needs.